Metro Plastics has been in business for 20 years and we have earned an excellent reputation for quality, service, and prompt payments. 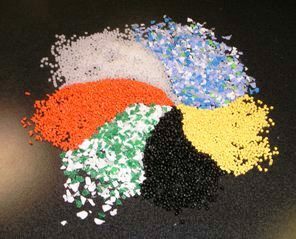 We deal in all types of thermoplastic resins, from commodity resins to engineering grades, in all forms. Since we are dealers, we do not try to compete against the direct distributors, and therefore, we do not sell from a line card. While we deal primarily in near-prime, off grade, repro and regrind resins, we frequently have access to certified prime materials from a wide range of suppliers. We purchase job lot resins at very competitive prices and try to pass the savings along to our customers. We are also interested in purchasing surplus, obsolete, or scrap materials, that can be in the form of pellets, regrind, or parts. Providing us with helpful information such as quantity, color, packaging, and anything unusual about the material, such as fillers, additives, labels, printing, etc. will enable us to provide you with a quick and accurate response . Metro can spot trailers when appropriate, and we can provide a certificate of destruction for unground parts if required. Contact one of our knowledgeable staff specialists at any of our locations, to quote you on our available stock, or assist you with your surplus material.